Apple iPhone fans have been wishing the iPhone 6 what it will be, not just iPhone 5. Talk about the iPhone 5 that reportedly will attend in September have been considered old-fashioned, and gadget fans want to talk about the next version. Everyone seems to mention iPhone 6 to the next Apple's cell phone, although it is unclear whether its name will be like that. Apple does not run in chronological order in the past. After the initial iPhone emerged, following the 3G iPhone, then iPhone 3GS (S should be an abbreviation of speed). 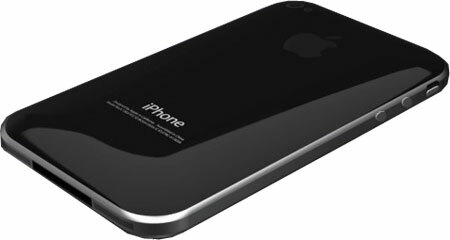 iPhone 4 is a clue that Apple expects the phone to work on 4G networks. In fact there was never any iPhone 2 is more towards the approach of numbers. Release date: 2012 seems logical, as The Atlantic wrote, "That makes sense because it fits with the history of mobile phones, since its debut in 2007, the new models come out every year." Display: Publisher Japan, Nikkan, iPhone6 rumors started with a post that says Sharp will create a new type of screen for that phone. Thin and light: Some smart phones, particularly the Android phone, the bigger the better because the big screen for watching video. iPhone 6 is rumored to be getting thinner and lighter. The Register says this display technology can be used for tablets as well.